Trojans playing only their second game in seven weeks started slowly and found themselves two goals behind to their lower league opposition after 15 minutes. A strong Lyne team had started well and deserved the lead. Harry Scanlan then scored for Trojans after an Adam Elton shot had hit the post. Lyne kept up their form, however and another strike just before the break took the teams into half-time with Lyne leading 3–1. Only a couple of minutes into the second-half and a defensive mix up allowed the Lyne striker to take advantage and score into an empty net, making it 4-1 to the home team. The next three minutes of this match turned the whole thing on its head. Adam Elton who had been a threat throughout managed to break away from the solid defence and a fine finish brought Trojans back into the game. Immediately the Trojans pressed forward again and Jack Crooke chipped a ball in from the right wing which took the goalkeeper out of the game and dropped over his head into the far side of the goal. 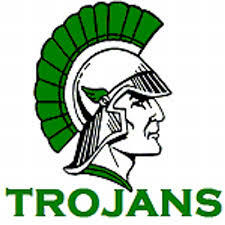 Trojans were now on the front foot attacked down the right wing again and Ryan Habgood fired a speculative shot in from distance, which saw Harry Scanlan out-jump the goalkeeper and knock the ball over his head and into the goal. 4-4. Trojans were by now dominating all over the pitch, continued to press and were awarded a corner. Jack Crooke took it and fired the ball to the back post where it found Sonny Wallace unmarked. Sonny took a touch and then smashed the ball into the back of the net. Lyne did respond and fought to the end, but Adam Elton broke away again and sealed the win with a clinical finish past the advancing ‘keeper. Final score 6-4 away win.